Whether you get your water from a private well or a public utilities company, a drinking water test is the only reliable way to find out what’s in the water at your Los Angeles, California home. 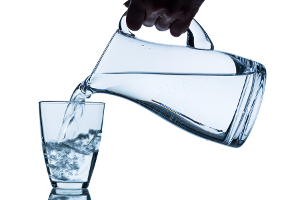 Here at RainSoft, we can check your water for a wide range of undesirable contaminants – and because we believe you deserve to know what you’re drinking, we won’t charge a thing. With the results of your in-home water hardness and drinking water test in mind, your water quality expert will be able to suggest a personalized solution for improving your water. There’s no obligation to purchase a system, but RainSoft does offer several complete drinking water filtration units that can produce significant improvements should you choose to make the investment. As a leader in the water testing and treatment industry, RainSoft offers top quality products for the absolute best in home water filtration. To schedule your complimentary in-home water hardness and drinking water test, contact your authorized Los Angeles, CA RainSoft dealer today.